INOVA+ was present at the international event Business2Sea – Fórum do Mar 2018, which took place between 14th and 16th of November 2018, at Alfândega Exhibition Center in Porto. On November 15th, INOVA+ presented the project ONBOARD – Development of Technical Profiles and Training Curriculum for the Ports and Logistics’ Sector, within the framework of Workshop Theme 2: Marine Technologies, Employment and Training. This was a time of strengthening partnerships between ONBOARD and other initiatives and projects presented which aim the development of competencies in the maritime sector – namely MATES and IN 4.0 projects as well as the Talent Hub platform. In addition, INOVA+ also had the opportunity to establish new strategic relationships with other companies, R&D centres and associations active in different fields of the Sea economy (Portuguese and/or foreign). 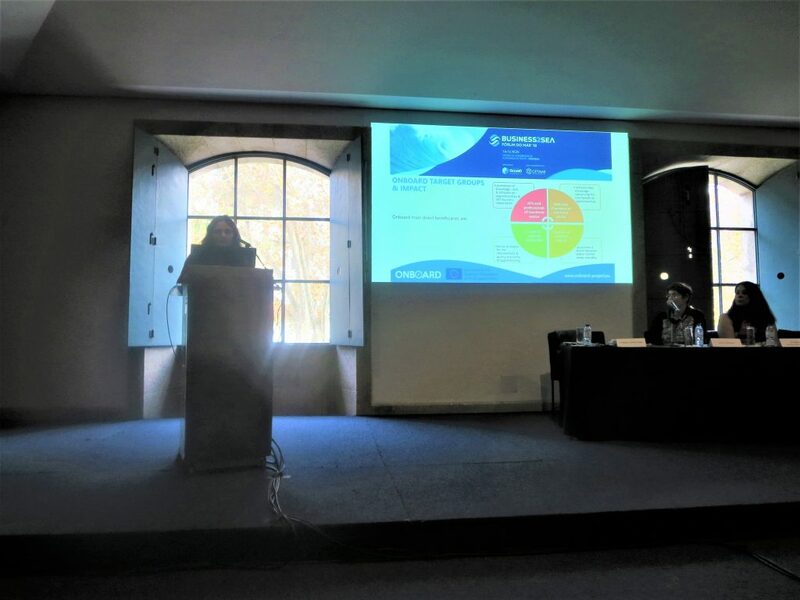 Organized by the Oceano Forum (INOVA+ partner in the ONBOARD project) with the collaboration of CETMAR, the 2018 edition of Business2Sea had as its central theme “Desafios do Mar 2030”. A series of seminars, workshops, thematic conferences, exhibitions, pitches sessions and business meetings were organized in order to answer this challenge.